Boys and Girls Sports Teams and Student-Athletes will be honored for their academic and athletic accomplishments. 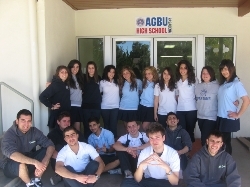 AGBU High School – Pasadena is pleased to share the exciting news noting the wonderful achievements of the Class 2009. 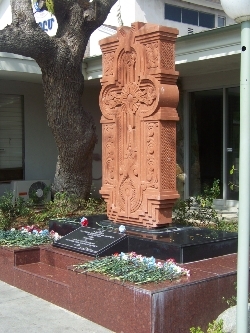 On March 27, 2009 and upon the invitation of the AGBU High School Pasadena Administration, 8th grade students from sister schools Alfred & Margaret Hovsepian, Armenian Sisters’ Academy and Mekhitarist Fathers’ School spent half a day on campus to get acquainted with the school and attend an Armenian theatrical performance by students of the only Armenian high school in southern California established in 2006 to meet the needs of high school students. 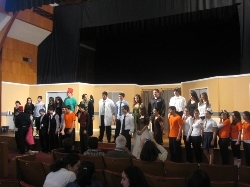 On Thursday, February 19, AGBU High School - Pasadena students gathered in the Boyajian Hall for an Awards Assembly. Awards were given to students to recognize academic achievement, outstanding conduct and perfect attendance. Boys JV team continues impressive stretch, winning back-to-back games. 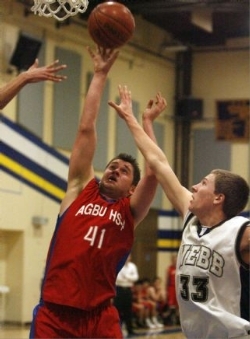 Armenian School Excels in First Year of CIF Competition.